All Instrumental Zither Hits from Europe! 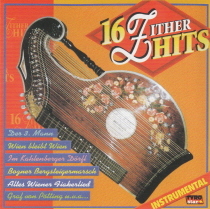 16 Zither Hits on 13 tracks within this import CD! This CD is all instrumental and will surely impress Zither fans. Don’t pass this CD direct from Europe today!